SOFALEX OI CAIPIRINHA DA SILVA - World Pedigree DataBase Brazilian Terrier, Brazilian Terrier Pedigree DataBase. 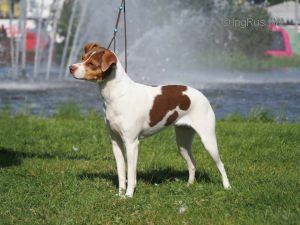 33 BOB & 19 CAC in Sweden, Placed BIG 3 at a INTERNATIONAL Dogshow in May 2012 by judge Maija Mäkinen, Finland. 3 CAC, 2 BOB and 1 BOS in Norway. 1 CAC and 1 BOS in Finland. 1 CAC, 2 CACIB and 2 BOB in Latvia. 2 CAC & 2 CACIB IN Lithuania. 1 CAC, 1 CACIB and 1 BOS in Denmark. 1 CAC and 1 R-CACIB in Estonia.